Just opened my second keto box and I couldn't be more excited! The first box was great too, but I had been waiting for second one to see this is legit monthly subscription or not. This month however blew it out of the water! Can't wait to open next month's box already! 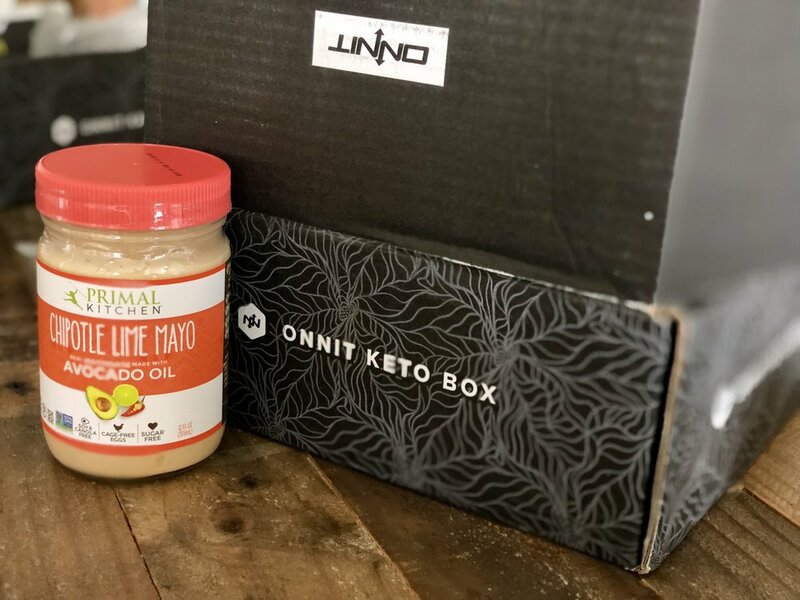 The Onnit Keto-Box is a monthly subscription box delivering the top Keto products right to your doorstep. Each product is reviewed by our keto experts to ensure you’re receiving only the very best products. The Keto Box is a collaboration between Onnit’s CEO and founder, Aubrey Marcus, and one of our favorite clients, comedian Brendan Schaub. A former UFC heavyweight contender, Brendan Schaub is co-host of The Fighter and The Kid. Aubrey and Brendan have found that cutting back on their carbs and upping their fat intake has boosted their energy, focus, and overall health. They’ve also found that it’s hard to stay on a keto diet if you don’t prepare beforehand, especially if you’re a busy person who travels a lot. Now, with the Keto Box, they’re sharing their favorite snacks, supplements, and recipes to help keto dieters stay on track and enjoy the process. The ketogenic diet is a very low-carbohydrate, high-fat diet. By restricting your carb intake and increasing dietary fat, your liver converts stored body fat into molecules called ketones. When the number of ketones rises to a certain level in your bloodstream, you are officially in a state of “ketosis,” and your body is using fat as its primary fuel source. The classic, medically-defined ketogenic diet has 75% of your daily calories come from fat, 20% from protein, and 5% from carbohydrates. However, for athletes and active people with greater energy needs, we like a version we call “Mod Keto” that lowers fat to 40–60%, increases protein to 20–40%, and bumps up carbs to 20%. Either approach can yield great results. We’ve longed been told that calorie restriction, increasing exercise and reducing dietary fat intake are the keys to weight loss. But, if you’ve ever attempted to control your weight by subsisting on fewer calories — especially from mostly bland “diet foods”— you’re already probably aware that this typically produces minimal results and is extremely hard to stick with long-term or consistently. Yes, I am one of them because most of MMA fighters do "Yo-Yo" diet to make competition weight(mostly water weight cut). Ketogenic diet is a good strategy for a long term fat burning state in order to achieve one's healthy body weight/health status. Evidence has shown that, compared to a low-fat diet, a low-carbohydrate diet results in more weight loss. Ketogenic diets have also been shown to increase focus and improve markers of heart health, and they continue to be investigated for their potential in treating a variety of health problems. The keto diet works for such a high percentage of people because it targets several key, underlying causes of weight gain — including hormonal imbalances, especially insulin resistance coupled with high blood sugar levels, and the cycle of restricting and “binging” on empty calories due to hunger that so many dieters struggle with. Yet that’s not a problem with what’s on the keto diet food list. 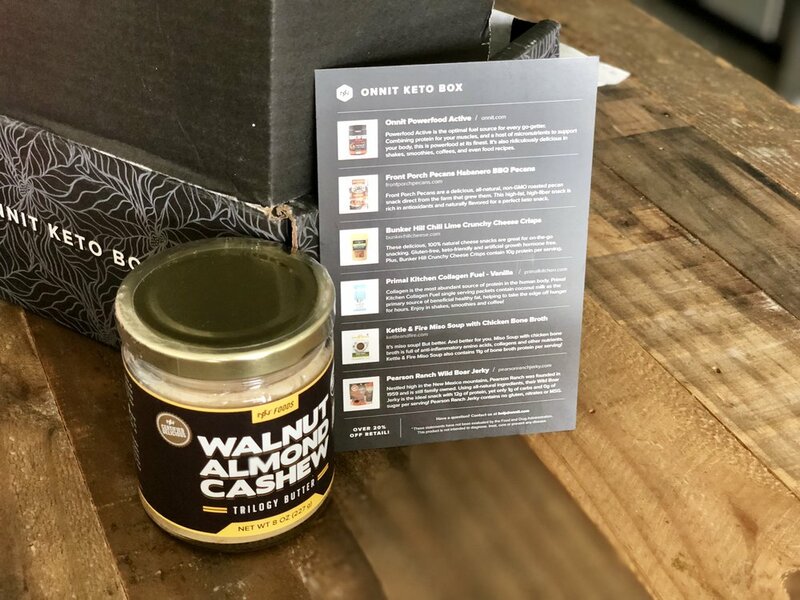 Onnit Keto box brings you "Ketogenic friendly" snacks. According to one of Onnit Pros, Ben Greenfield, when you are attempting to become a “fat-burning machine”, get into ketosis or adopt a ketogenic diet, your body begins breaking down fats into ketones for energy, and it does so extremely efficiently when MCT’s are present. So think of MCT’s as quick, clean fuel you will burn. MCT’s are some of the healthiest “fast fats” because they are what your body breaks fat down into for useable energy. In addition, your brain also uses about 20% of your total daily energy expenditure, and since MCT’s cross the blood-brain barrier, they offer potent fuel for cognition as well. MCT’s don’t need to be shuttled around the digestive system, they travel right to the liver and then are distributed for fast and lasting energy. MCT oil by onnit is essential to Keto box suscribers for sure! The ketogenic diet is very different to the standard diet. The main goal of a ketogenic lifestyle is to teach the body to use ketone bodies derived from fatty acids rather than glucose as the main source of energy. This is why the amount of fat you consume on a ketogenic is about 75-85+% of total daily calorie intake. MCT is "must" on your diet list. I love to see primal kitchen products in the box! Peppery and zesty with just the right amount of fiery seasoning, Chipotle Lime Mayo delivers that extra flavor to every meal. Phenomenal taste, sugar free, Non-GMO Project Verified and pepped up with organic lime zest plus chipotle powder for the most perfect dipping sauce and flavoring agent. Dress up your keto friendly meals or even regular healthy meals. Made with 100% pure avocado oil, this spicy mayo amplifies the nutritional profile of the nutrients it’s paired with, so you can transform any plain dish into a pizazz-filled platter…and feel good doing it! My Mexican night is homemade guacamole and a big bowl of salad with this chipotle mayo. I have found my favorite nut butter from onnit in my first keto box. Nut butters are some of the more nutritious and versatile foods on the planet, especially in their raw, organic form. Almond butter has taken center stage amongst health enthusiasts due to the delicious taste and high protein value, but every nut has unique health characteristics including differences in minerals and healthy fats. The idea behind creating Onnit's Trilogy Butters was to combine some of the best tasting and most highly nutritious of these nut butter in complementary flavor profiles, to give you the broadest nutritional coverage possible. What they discovered when it came to taste, was that the sum was greater than the parts! Eating raw nut butter vs their roasted counterparts is a valuable nutritional choice. Like raw honey or raw milk, the natural enzymes, oils, vitamins and minerals often get altered or depleted during the heating process. While occasionally nutrient benefits will be accelerated with cooking, it is generally considered optimal to eat plant-based food in its most natural form, and nuts are no exception. Onnit nut butters are 100% raw, organic and made of the most delicious nuts on the planet. Kettle & Fire's bone broth is made with all organic ingredients and bones from 100% grass-fed cows. Now they make miso soup with their high quality boone broth? What a surprise from keto box! According to their website, they took a classic miso soup recipe and gave it a twist of kettle and fire.Their miso soup is packed with the same great umami flavor, but with even more nutrition thanks to the addition of Kettle & Fire Chicken Bone Broth. They have slow simmered all of the traditional ingredients together — ginger, garlic, seaweed, onion, and miso paste— to create the most flavorful and nutritious miso soup there is. I will use my own homemade bone broth for miso soup only when I have TIME. FYI, there are many of miso patses with MSG and additives sold in Asian grocery stores in U.S, so be careful! All of kettle and fire soup recipes are also certified gluten free and dairy free. Eating processed foods is especially common for people who have read about the Atkins diet and seen the products that are sold online and in stores. Yes, they keep you within the carbohydrate limits that you choose and may make life a lot easier but they are also full of artificial flavours, colouring, polydextrose, sucralose and other artificial sweeteners that can mess with your mental and physical health. With an increasing amount of research to confirm the benefits of low carb and ketogenic diets for various health conditions, there will be plenty of incentives for companies to produce snacks based on real foods, like introduced above. Whether you are full keto, or just hate a daytime carb, the keto box is going to help you discover a world of impossibly delicious snacks. Receive Indulge in the highest quality low-carb snacks and supplements. Enjoy Try these Keto-friendly products, and stay connected to find other "ketonians," share receipes, diet & fitness tips, and more!